The New Yorker wrote a piece on air carriers and their take on UX Torture: Calculated Misery. It’s a shame to see JetBlue giving in. I guess public companies gonna public. The UX Torturer is a new and emerging role in the field of UX. Whereas the typical UX Designer is a one-trick pony who can only improve the user experience, the UX Torturer specializes in degrading the user experience to maximize profit. Marketing people have been ruining user experiences for decades. It’s called advertising. And you’re soaking in it. 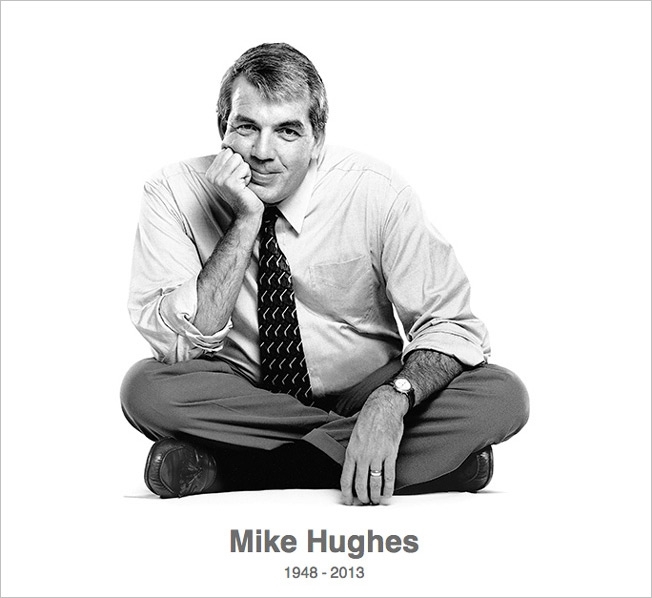 It’s been one year today since Mike Hughes, one of the guys that built The Martin Agency, passed. I didn’t know him well. We shared only a few conversations during my time in graduate school at VCU and later when I returned to Richmond to work at Martin. But he nevertheless made a lasting impact on my life. He was a great many things to an awful lot of people. For me, he was living proof, at a crucial time in my career, that there were people in advertising with integrity. That there were agency executives who value the people in their employ. That there is room for both creativity and humanity in the same person. We had a small gathering to mark the occassion today. In the announcement, Joe Alexender included an excerpt from a longer piece that Mike had written to him a few months before he died. I always enjoy his writing. But his perspective on embracing and engaging with life, even while nearing the end, has found itself firmly lodged in my brain … it’s something that I hope to continue drawing from in my own life. I haven’t yet figured out how to do it, but I want to do something that means something. I want to help society address its big problems. I want to help righteous journalism maintain its integrity and its robustness. I want to figure out how to stop governments and politicians from getting in the way of progress. I want our schools to be better. I want scientists to learn how to talk to the rest of us so that all of us can get a firmer handle on the truth. I don’t fear death, but I am incredibly frustrated by its prospect. I don’t want to have to stop what I’m doing. Life is measured only superficially by heartbeats, breaths and brainwaves. Life is doing. It’s learning and it’s engaging and it’s thinking. It’s having at least a minimal capacity for joy. I want to live forever and then die quickly. I want to learn. I want to be part of stimulating conversations. I want to understand the wisdom that inspires some people to see things differently than I do. My whole life I have felt that I had nothing to teach anyone. Now I think maybe I do. This is what my life is now. Except maybe to get rid of this damned cancer, I wouldn’t change any of it.